Here, I'm gonna share with you some information on Sakura Haruno. She is one of Naruto anime characters. In Naruto series, Sakura acts as the female lead, helping her friends and teammates whenever she can. Sakura accompanies the rest of Team 7 during all of its early missions, though does little to contribute to the battles that take place. Instead, Sakura sits on the sidelines, content in allowing her teammates to protect her and defeat their opponents. During the Chunin Exam arc, when the rest of Team 7 is left in need of her protection, Sakura realizes that relying on others to fight her battles has been unwise. Sakura resolves to better her ninja abilities from that point further, and throughout the rest of the series takes a more active role in Team 7's battles. After Sasuke's defection from Konoha at the end of Part I, Naruto's failure to bring him back, and Sakura's inability to help either, she becomes Tsunade's apprentice so that she can do more to help her teammate in the future. Sakura takes a more active role in the overarching story in Part II, first seen with her defeat of Akatsuki member Sasori. As a result of her victory, Sakura is given the chance to learn of Sasuke's whereabouts. Naruto, Sakura, and the new members of Team 7 use this intelligence to track Sasuke down, but they are once again unable to prevent him from escaping. Though disappointed in their failure, Team 7 tries once again to find Sasuke, and they are currently in the process of following his trail. 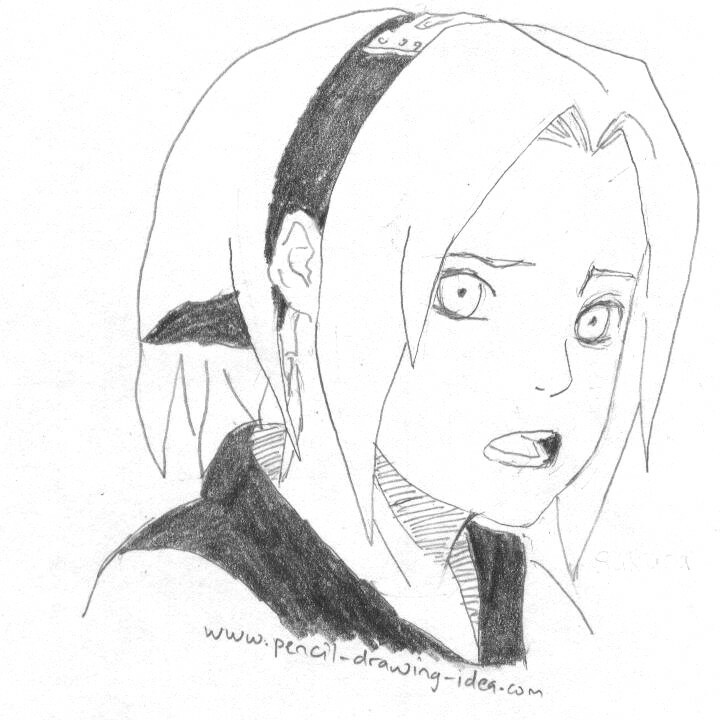 Return from About Sakura Haruno to How To Draw Sakura Haruno. Return to How To Draw Naruto. Learn how to draw Rock Lee, Naruto Characters.